Wingrove Park :: In Fairness, it was a great career! In Fairness, it was a great career! DUAL metropolitan winner In Fairness will live out his days in retirement at Wingrove Park with connections calling to an end his racing career. The son of Denman ends his 34-start career with over $150,000 in stakes earnings courtesy of six wins and seven placings. Born on November 6th 2011 at Basinghall Farm, the pint sized ‘Denny’ hailed from the blue-blooded mare Villa Igea - who hails from the Eight Carat family. In Fairness was her eleventh foal with the name following on from her most successful foal Fair Trade – a dual Flemington winner at his two starts before being sold to Hong Kong. “He was a stable favourite of many as he just a true gentleman,” explained Wingrove Park CEO Joseph Vella. Beginning his racing career in May 2015 in the care of Bendigo horseman Shane Fliedner (after passing up early offers to be sold to Hong Kong), In Fairness’ first win would come first-up into his second preparation with a dominant win at Ararat. His racing style of leading all the way would soon become his custom with victories following at Ballarat and Ararat but it would be his five-year-old year that In Fairness would relish. A victory at Moonee Valley would welcome in the 2016/17 season and less than one month later a second would follow – this time stretching out to 1600 metres for the first time. In Fairness would win by 2 ¼ lengths having never raced over a further distance than 1300 metres previously. Two victories at The Valley was the pinnacle for the horses connection with regular rider Harry Coffey, who piloted the six-year-old on 17 occasions for four victories. His biggest win however would come at Cranbourne four months later – the only time the horse was able to find a heavy track. That win at Cranbourne came under Ben Allen in the $50,000 150th Cranbourne Anniversary Handicap (1400m) in Benchmark 84 company. The victory came on the back-up giving plenty of cheek and finishing fifth in the Lord Stakes at Caulfield, a brave effort in his only stakes performance. His accolades were recognized for that season when winning the Bendigo Middle Distance Horse of the Year at the Bendigo Racing Awards in 2017. In Fairness was part-owned by trainer Shane Fliedner in partnership with Joseph and Daira and daughter Lauren Vella of Wingrove Park as well as the teams marketing officer Ben Sporle. 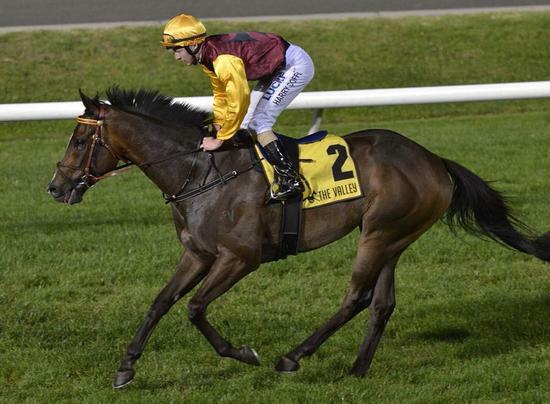 While Villa Igea may also be retired at Wingrove Park, the stud is hoping In Fairness’ half sister Her Command can continue the winning legacy. Thanks goes out to the Fliedner’s Racing Stables team for their work with the horse over a number of years. In Fairness will now enjoy life as a show horse and live a happy retirement. Thanks for the fun, Denny!